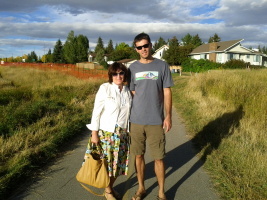 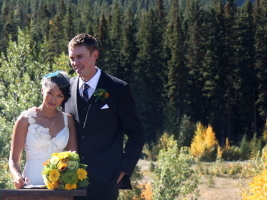 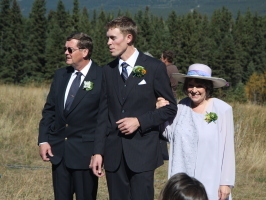 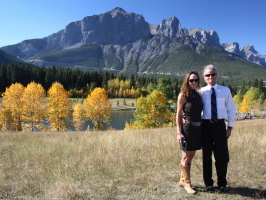 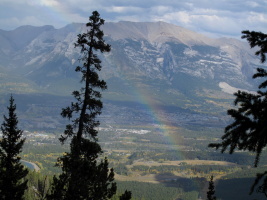 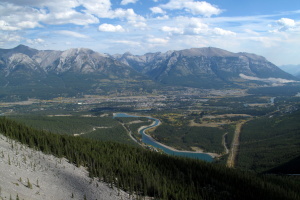 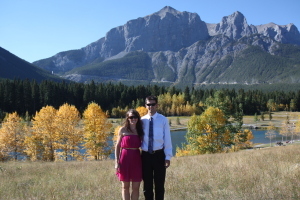 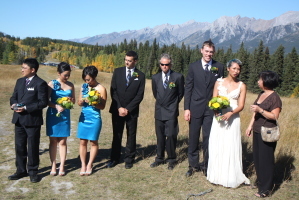 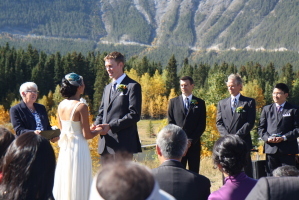 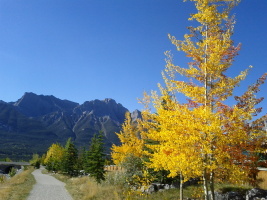 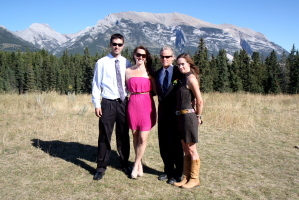 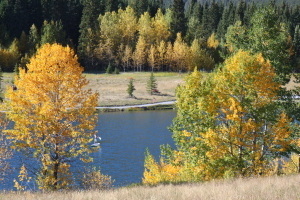 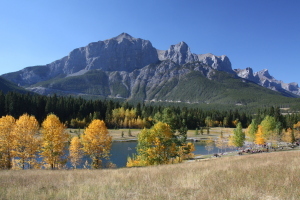 Jason and Janice were getting married in Canmore, nice excuse to visit! 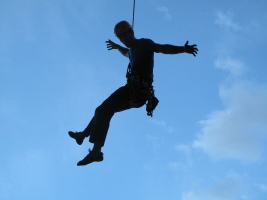 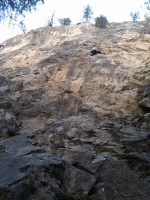 We had a fun bachelor party in the Ghost the weekend before. 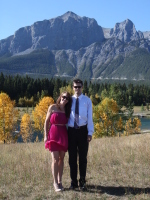 On the weekend of the wedding, we went up to Canmore and enjoyed the awesome hospitality of Dow and Stacy who were in Canmore for the summer... awesome time was had by all! 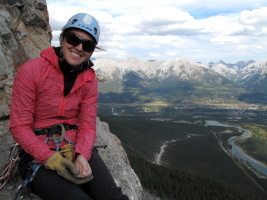 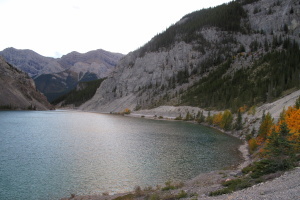 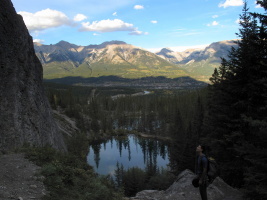 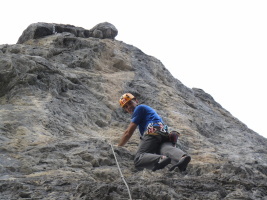 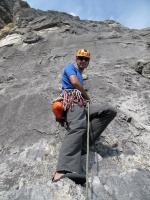 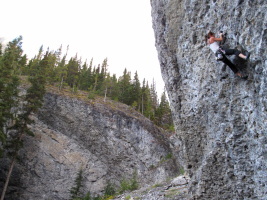 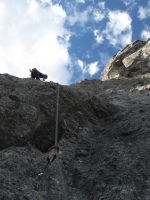 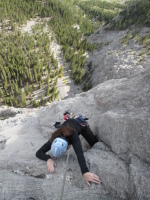 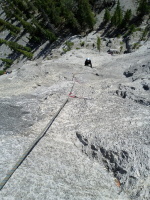 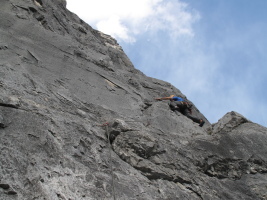 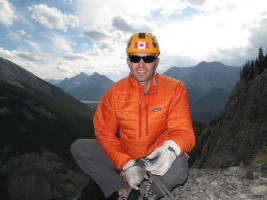 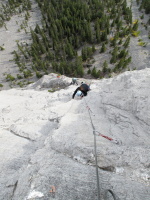 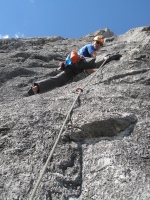 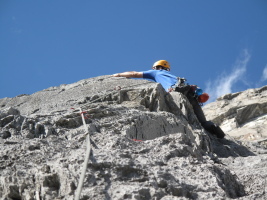 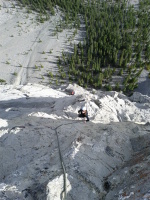 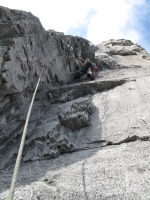 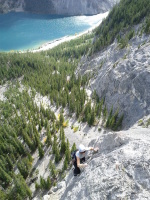 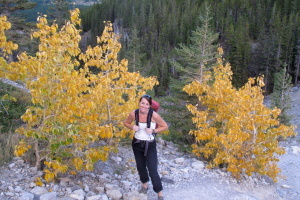 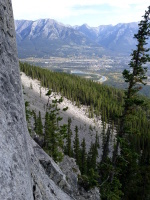 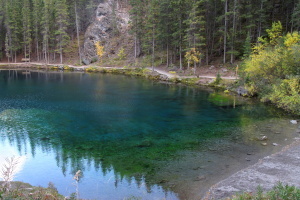 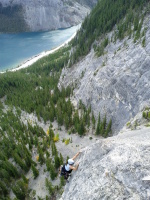 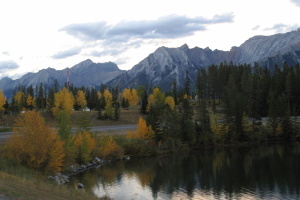 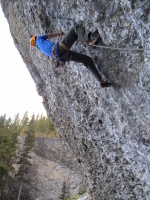 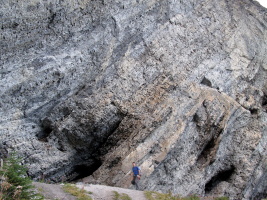 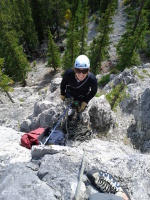 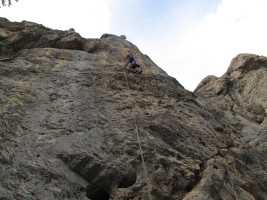 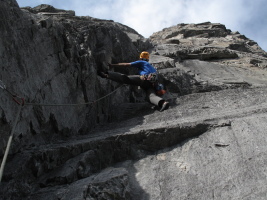 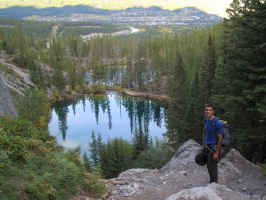 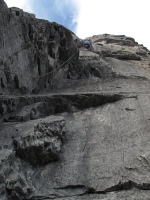 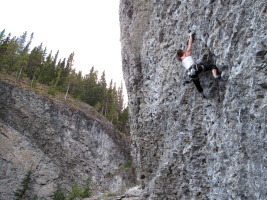 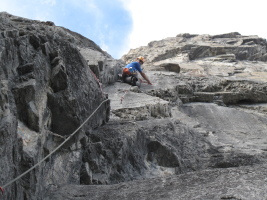 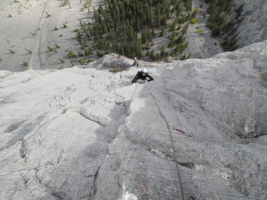 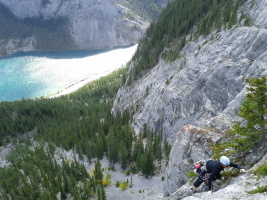 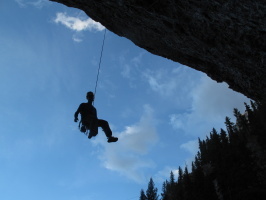 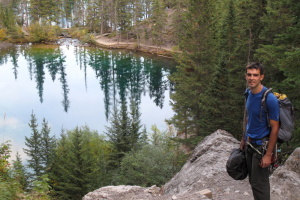 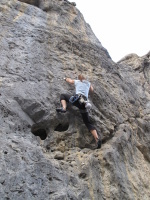 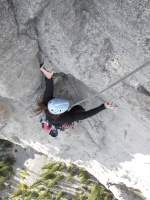 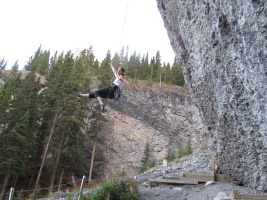 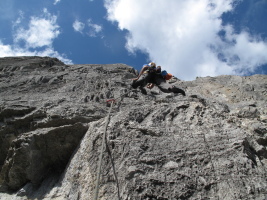 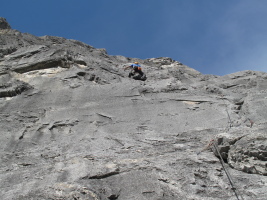 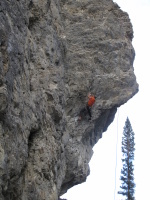 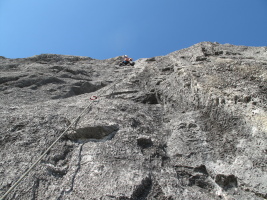 We even managed to squeeze in some climbing around the wedding :-) Grassi Lakes on Friday night for a couple of hours, Saturday morning at Cougar Canyon, and on Sunday we did True Grit on EEOR, a nice 6-pitch sport climb. 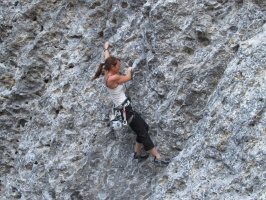 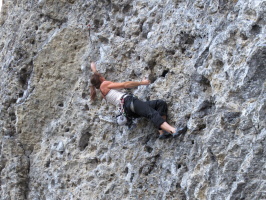 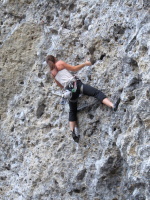 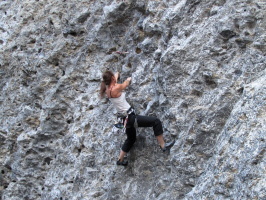 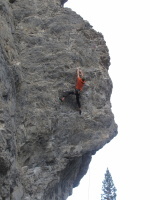 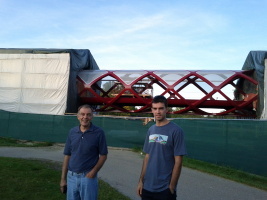 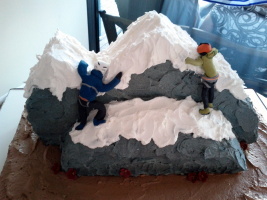 The only other climbers at Grassi on Friday evening: someone I knew! 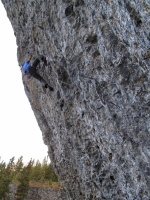 Feeling the pump now Steep eh?